Fiscal 2009 was a time of tremendous transformation for The Estée Lauder Companies. The global economic downturn prompted us to change the way we operate even more quickly, while at the same time we began laying the foundation for the Company's new four-year strategy. I am particularly proud of how our talented people successfully managed the business against this challenging backdrop. Despite reduced consumer spending, we were able to gain share in many important countries and channels, thanks to our employees' hard work and creative efforts. We also focused on gaining efficiencies and fostering more collaboration across our brands, regions and channels. During the year, we resized the Company to compensate for lower sales and restructured the Company by introducing new processes and leadership teams for improved organizational alignment. William Lauder and I, together with the Company's top leadership, spent much of the year developing a strategic plan that we believe will generate sustainable, profitable growth for the long term. The strategy focuses our resources on our most promising opportunities worldwide by brand, category, region and channel. Our strategy seeks to take the Company to the next level by leveraging our numerous strengths, which include our diverse brand portfolio and our long history of superior creativity and innovation. In addition, we will continue to maximize our selective distribution model and our tremendous global reach and rely on our solid financial underpinnings and our passionate workforce. We believe an important way to leverage our core strengths is by gaining even greater consumer insights, and we've started enhancing this capability throughout our regions. We will use even more consumer understanding and market intelligence to stimulate our creative process across product development, innovation, distribution, packaging and our personalized service model. Another critical component of our strategy is to better leverage our scale and improve integration. Our new North American affiliate, which launched on July 1, 2009, is a prime example of how we are bringing our brands together to work more effectively with retailers and gain economies of scale. We are also addressing obstacles that are impeding our growth, including our underperforming brands, which drain resources from our investment priorities. We have begun to make progress in this area and look forward to achieving more in the coming year. NEXT LEVEL BY LEVERAGING OUR NUMEROUS STRENGTHS. I am honored to have been chosen to lead The Estée Lauder Companies as we set forth on this exciting journey. I look forward to a continued strong partnership with William and will rely on his wisdom, deep experience and industry knowledge as we steer the Company toward the bright future that lies ahead. I am grateful to Leonard Lauder, who has provided me with invaluable guidance and support. 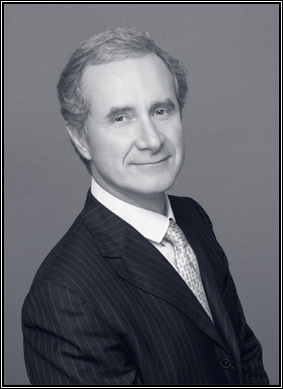 He is a true mentor and I will always be grateful that he welcomed me so warmly into The Estée Lauder Companies' family. Together, William and I will build on Leonard's high standards and continue the leadership, vision, creativity and energy that distinguishes his long and outstanding tenure. I am also so proud of our employees for their dedication and hard work in fiscal 2009 and am confident we will make substantial strides in the years ahead. We will emerge from this challenging environment stronger, leaner and better positioned to capture greater share and drive long-term profitable growth. By imagining the desires and needs of our consumers, integrating the talent of our people and the resources of our brands, and innovating high-quality products and services, we are positioning The Estée Lauder Companies to be a profitable global leader in prestige beauty. Importantly, this will continue to be a workplace where people can aspire to greater levels of personal development and achievement and where everyone will play a pivotal role in taking our Company to even greater heights of success, for the benefit of stockholders and employees alike.